LSC’s mission is to promote art in a manufacturing form to teach, learn, and add back to the world of art. Do you ever want to be unique and set apart from the rest of your industry? Do you want your business or event to be seen as the best? 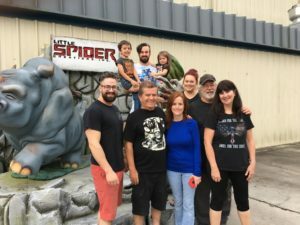 Little Spider Creations (LSC) wants that too, for you! LSC focuses on creating one-of-a-kind unique creations for your business or entertainment event(s). They call it amplified atmospheric work. They take your theme, business concept, mascot, or idea and create a 3D custom product to amplify your message or brand. LSC loves to give you the opportunity to gain traction through free publicity via your guests or fans. LSC is the leader in the prop and theming industry. LSC, much like its products, is a one-of-a-kind manufacturer that has been transforming traditional art into modern value added products and services since 1991. They pride themselves in serving their clients with amazing products and services, but are also ceaselessly looking how to improve and evolve their artistic capabilities. “Working with Little Spider Creations was fantastic! They helped me bring my vision to life with a full late night show set. I can’t wait to work with them again in the future!” – Late Night Show in SC. 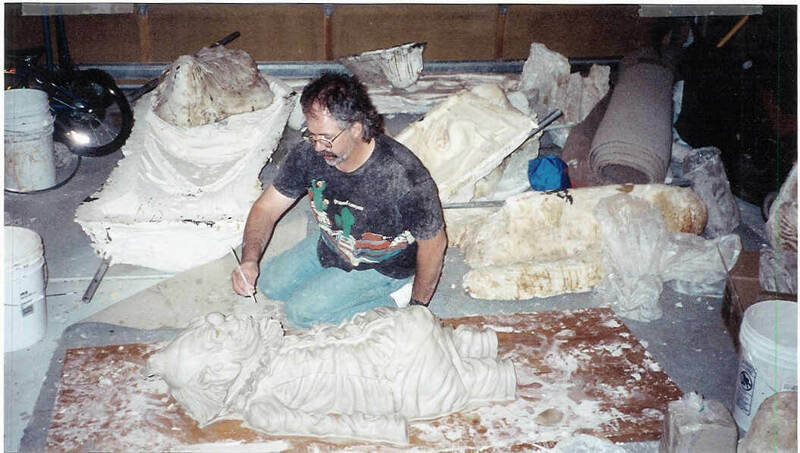 LSC was created in 1991 by Marc Brawner by sculpting latex masks out of clay. From there his artistic curiosity evolved the company into building haunted houses and making props for TV promos. Eventually Marc collected all the combined mastering of various media and launched what is now LSC. The entire Brawner family operates in the business creating imagination for each client. We believe that whatever our clients can imagine, we can create. Whether that be an egyptian themed escape room, an underwater sea creature haunted house, or Santa’s sleigh photo op, LSC can make your imagination come true. With LSC’s head office located in a 54,000 sq ft. facility in Little River, South Carolina, LSC delivers its services and products to many different industries across the globe. These include but are certainly not limited to: amusement, industrial, retail and theatrical. We are able to design and create ideas anywhere from creepy scary, to playful in character. Our talent knows no bounds.